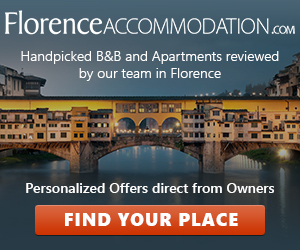 Promoted and organised by: Ente Cassa di Risparmio di Firenze, Fondazione Palazzo Strozzi, Ministero per i Beni e le Attività Culturali, Soprintendenza PSAE e per il Polo Museale della città di Firenze. The exhibition is dedicated to the early work of Picasso, Miró and Dalí, which played a decisive role in the beginning of modern art in Spain. The exhibition concentrates on Picasso's pre-cubist period 1900 - 1905, whilst Juan Miró's works of 1915-1920 are presented along with Salvador Dali's from 1920-1925, both artists painting in the period before the discovery of surrealism. Each artist will be represented by 25 - 30 masterpieces selected to show aspects of the three artists in their earliest periods, works that are rarely shown in mainstream catalogues and exhibitions. 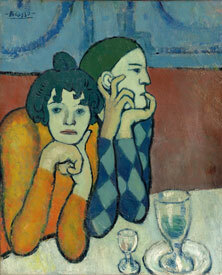 For instance, Picasso's early work was often coloured by his strong political convictions. In Madrid in 1901, Picasso and his anarchist friend Francisco de Asís Soler founded the magazine Arte Joven (Young Art), which published five issues. Picasso illustrated the journal, mostly contributing grim cartoons depicting and sympathizing with the state of the poor. Miró too understood art as political, and Miró's oft-quoted assassination of painting is derived from a dislike of bourgeois art of any kind, especially when used as a way to promote cultural identity among the wealthy. Specifically, Miró saw Cubism in this way, and he is quoted as saying I will break their guitars, referring to Picasso and Braque's early Cubist paintings. Much younger than Picasso and Miró, Dalí was expelled from the Academia in 1926 shortly before his final exams when he stated that no one on the faculty was competent enough to examine him. His mastery of painting skills is well documented in his early works, such as the flawlessly realistic Girl at the window, which was painted in 1926. That same year he made his first visit to Paris where he met with Pablo Picasso, whom young Dalí revered - Picasso had already heard favourable things about Dalí from Joan Miró.